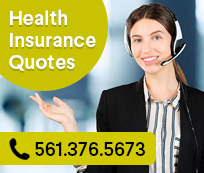 Looking for short term or temporary health insurance for yourself or your family? Live in Florida? Want health insurance approved within 10 minutes? Just because you don't have health insurance right now doesn't mean you won't have health problems. The Secure Med STM allows you and your family to purchase high quality, affordable major medical coverage on an intermediate basis. The covered benefits include expenses for doctors services, surgery, out-patient, in-hospital care and prescription drugs. Secure Med STM is offered to CFA members (by enrolling in this plan, you automatically become a member of the Communicating for America Association), their spouses and their dependent children under age 19 (or under age 25 if a full-time student) who have a social security number and can answer 'no' to the health questions on the application. Children age 19 and over should apply separately. Child-only coverage is available for ages 2 through 18. The insurance can be effective as early as 12:01 a.m. the next day after the transmission date. However, the applicant can choose a later effective date not to exceed 60 days from transmission date. Coverage ends on termination date listed in your policy. as of 06/04. A.M. Best ratings range from A++ to D.
Need a Short Term Quote?